AALBC.com is uniquely positioned to display your online advertisement in front of a large and highly targeted audi and those interest in African American culture. 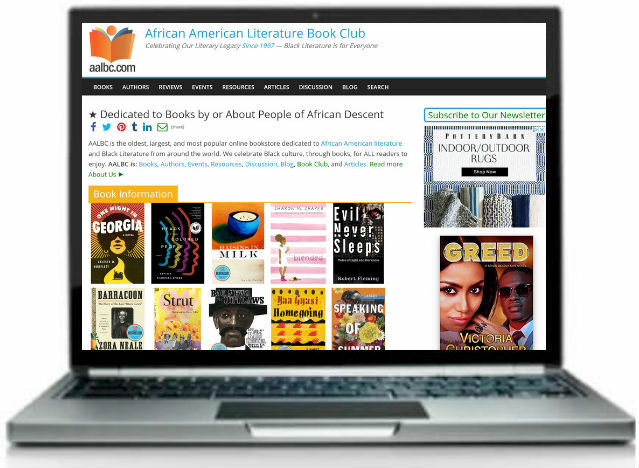 Launched in 1998, AALBC.com is now the largest and most frequently visited, website dedicated to Black books. Review AALBC.com’s visitor demographics. If you have any additional questions or call us at 347-692-2522 (please leave a message) or email us (best option) for more information. 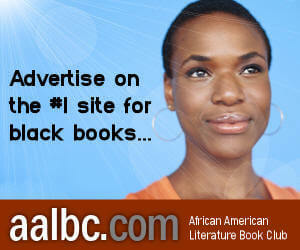 Advertisements appear virtually every AALBC.com webpage. Advertisers are entitled to a free Author profile for spending more than $300 on AALBC.com services. 1 - Get Your “Mug Shot” on AALBC.com, including our Homepage; learn how. We have an active set of discussion forums. One is dedicated to African American Literature. You can sign up for an account (use your Facebook or Twitter if you like). Once you create an account, you'll be able to share information about yourself and your work. You may shares photos, text, video, links back to your website. 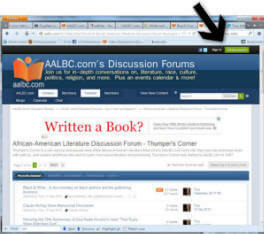 The forums are feature rich and you may even share your posts using a variety of social media—directly from the forum. We also offer a forum for sharing press releases. Simply copying and pasting your press release will allow you to share your press release while preserving the original formatting. We often use information, we discover on our discussion forums, for our monthly eNewsletter. 10% commission on any advertising sold to a new client. Payout via PayPal or Square immediately after payment received from client or after campaign begins—whichever comes later.